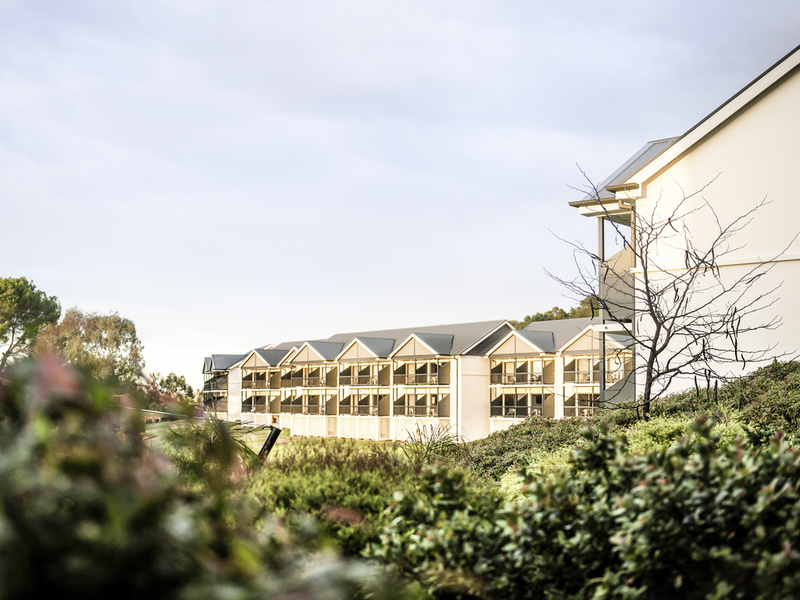 Treat yourself to 4-star tranquility at Novotel Barossa Valley Resort, adjacent to Tanunda Pines Golf Course. Wake to sunrise views from your balcony over rolling hills and Jacobs Creek Vineyard, and start the day brightly at the regional, seasonal breakfast buffet. Try a treatment in the Endota Spa and rejuvenate in serenity at Novotel. A popular destination for wine lovers, the Barossa Valley is home to Penfolds, Jacob's Creek, Yalumba, Wolf Blass and Rockford wineries. Guests staying at Novotel Barossa Valley Resort can explore the many local cellar doors, restaurants and attractions. Planet 21 참여 호텔로 서비스 산업의 지속 성장 가능을 위해 적극적으로 노력하고 있습니다. The award winning "Cellar Kitchen and Bar" Restaurant features an extensive buffet breakfast and an a la carte lunch and dinner, providing an array of Barossa produce designed to tempt even the most discerning connoisseur.